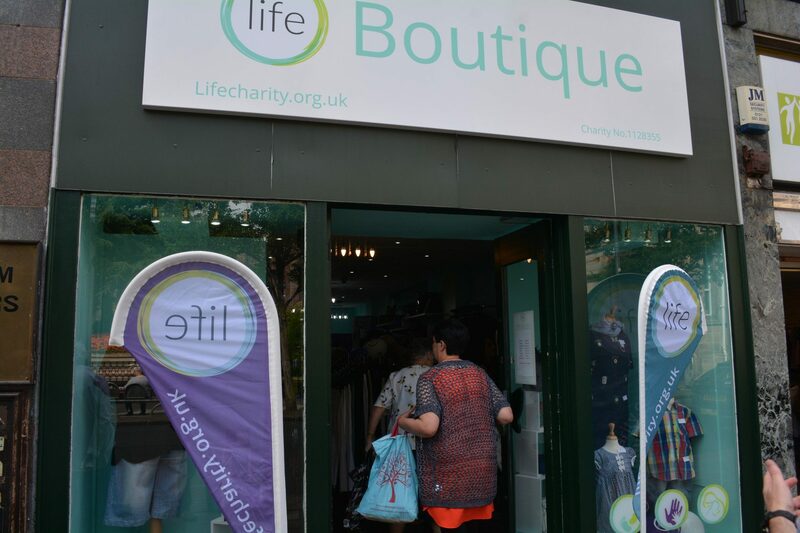 Wolverhampton residents flocked this week to Life Boutique charity shop, which raises money to support vulnerable and pregnant women in the city. The charity shop on Lichfield Street reopened this Tuesday, with Jack Scarisbrick, co-founder of the charity Life in the 1970s, cutting the ribbon. The refit was massive, including brand-new fixtures, fittings, displays, and floor, as well as an update to the branding and colours. In the first hour they had four times as many customers as normal, making a very strong profit of £430 on their first day. The Life Boutique shop also includes a Pregnancy Matters™ Centre, which gives counselling, emotional and practical support to women in crisis pregnancies. The Centre supported 30 vulnerable pregnant women in June, and this looks only set to rise following the refit. Jane James, Acting Shop Manager, said, “Thank you to the local community for helping make Life Boutique’s future so bright. A shop-fitting company from Erdington did the refit, the customers have flooded in, our incredible stock is the result of generous donations, and our volunteers have worked tirelessly to make this a success. “We’re here for those in a crisis pregnancy, needing some support. With the community’s help, we are here to give that support – for those who don’t know where to turn. Downloadable images of the reopening can be found on Facebook here.